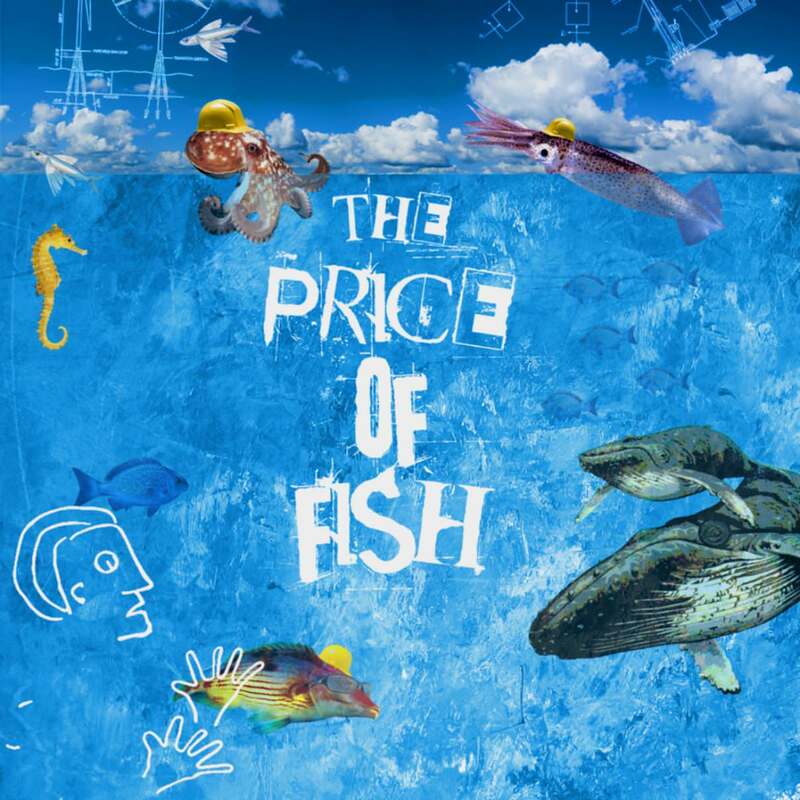 The Price of Fish. As in "What's that got to do with…."? As in what the hell are we doing to our oceans, animals and planet in general? As in all the nonsense that we drown in every day in this time of Trumpisms and fakeness. But mostly it's a vehicle for Rob Sinclair and David Bowater with substantial help from Bevan Revell (electric and acoustic guitars on That Which Sustains Us, Stony Shore, Nataraya and Shebear Spidersnake), Andrew Caldwell (lyrics - Darwin Machine and Bentwaiterman), Chris Watts (tenor and soprano saxophones - Shebear Spidersnake), Steve Garden (drums - Shebear Spidersnake), Mark Menzies (violin - Night Tango), Smada Adnarim (violin - Night Tango),Tatiana Lanchtchicova (accordian - Night Tango), Clive Garlich (electric guitar in Gift of Love) and Rhys Clarke (drums-Night Tango). Rob is responsible (or otherwise) for writing the bulk of the songs, most of the vocals, guitars, bass, percussion and other ethnic devices, piano (Shebear Spidersnake) and some of the recording. David handled recording, mixing, mastering, arranging, saxophones, bass clarinet, alto flute, recorders, percussion, drum and synth sequencing and keyboards. Thanks to Helen Bowater for allowing David to use excerpts (in Night Tango) from Lautari, her work for solo violin, and for her backing vocals in Darwin's Machine and Gift of Love. Rob and David worked together on 3 Voices when they were young and feckless.The youthful exuberance has been somewhat tempered by Life's travails to the extent that The Price of Fish shouldn't be considered as a followup work.The Hi-Rez version is available in 24 bit/44.1kHz. Other formats are flac, mp3 and alac.